Increasing the length or height of a brick wall changes the overall shape and feel of that space. You cannot add to an interior brick wall, unless the wall has space available at the top or sides. Changing a decorative wall, such as a retaining wall or a barrier used for landscaping purposes, requires a few tools. You can add to the height of the wall or add to its overall length with new bricks. Make any outdoor wall longer with the addition of new bricks. Spray the brick wall with a spray attachment on your garden hose. Saturate the bricks, focusing on the area where you plan on including more bricks. Scrub the bricks with a nylon scrub brush, removing any dirt or grime. Rinse with fresh water and let the wall dry overnight. Scrape a shovel along the ground next to the wall. Dig a small trench, removing the top layer of grass. The trench should be as wide as your bricks and as long as you want the wall. Sprinkle a 3-inch layer of gravel along the trench and cover it with 1 inch of sand. Mix powdered cement and water in a plastic bucket. When properly combined, the mixture should have a thick consistency, similar to the look of peanut butter. Apply a layer of the concrete onto the sand and let it sit for 24 hours. Apply a 1-inch layer of wet cement on top of the first layer. Cover the side of the original wall with another 1-inch layer. Set one of your bricks on the cement and tap it into place. The brick should sit flush against the side of the old wall. Keep applying mortar to the side of each brick and tapping them in place, until you reach the end of the row. Lay down a 1-inch layer of mortar on top of the first brick layer and arrange your second layer in the same fashion. Stack your bricks until the layers sit even with your old wall. After laying the first layer of mortar, check the height against the height of the original wall. Increase or reduce the amount of mortar so the new addition matches. 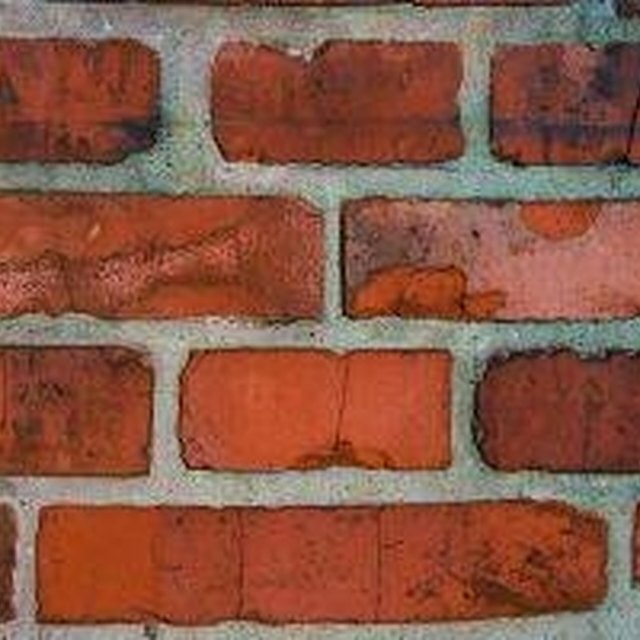 If you want to increase the height of a wall, it might require removing decorative bricks placed across the top. Break the bricks loose with a sledgehammer and chisel away the old mortar.